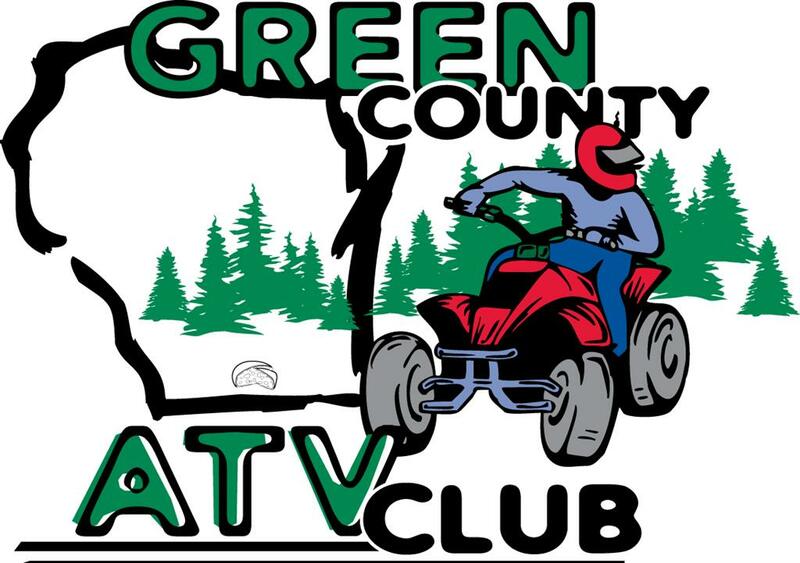 The Green County ATV Club is offering a $250.00 reward to anyone with information leading to the arrest and conviction of anyone stealing, damaging or shooting at the signs on the trail, or road route. 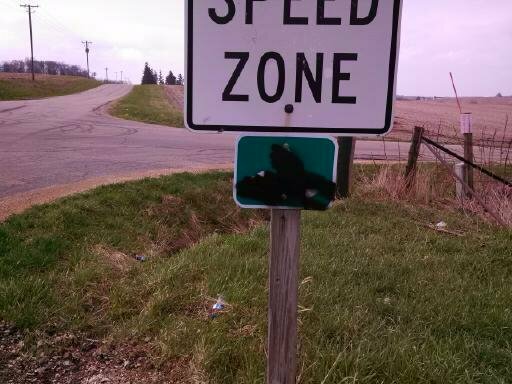 These signs were painted over with black paint,and are now ruined, they are located on Bethel Road south of Monroe. If anyone has information call the Monroe Police or Green County Sheriff. ATV/UTV routes throughout the City of Monroe are closed from 11:00pm to 7:00am and ATV/UTV routes in Mineral Point are closed from 9:00pm to 6:00am. All licensed and non-licensed motorized equipment which do not fall under the ATV or snowmobile definition must purchase and display a Tri County trail pass on their machine. All persons 18 years of age or older, riding a bike nonlicensed vehicle or a horse on the trail are required to purchase, and display upon request, a Tri County trail pass. All ATVs/snowmobiles using the trail must be registered, and display valid registration decals/stickers/plates on the machine. Please see the page on ATV registration for details on nonresidents. The trail is open to ATVs year round, providing that in the winter season there is less than one inch of snow. However, the trail may also be closed due to unseasonably warm conditions. 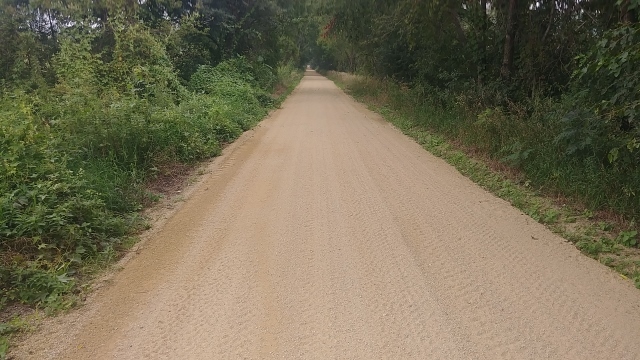 Always refer to the home page for permitted trail usage. The trail is always closed to ATVs from 1:00 am - 5:00 am in any season. The trail is open to snowmobiles when there is at least 4 inches of snow. When the trail is open for snowmobiles, it is open 24 hours a day. 30 mph is the maximum speed on the trail. 15 mph when traveling on all bridges. 10 mph when traveling through towns and cities, when traveling within 100’ of persons on foot and when traveling within 150 feet of any home/buildings. 5 mph when traveling in all parking lots. ATV -- if you were born on or after 01-01-1988, and are at least 12, you must possess a valid ATV safety certificate before operating on this trail. persons under 12 years of age can operate a small ATV (90cc or smaller) when accompanied by a Parent. Snowmobile -- if you were born on or after 01-01-1985, and are at least 12, you must possess a valid snowmobile safety certificate before operating on this trail. Motorcycle -- no person under the age of 12 may operate a motorcycle unless accompanied by a parent or adult (18 years of age). You can operate unaccompanied if you are between the ages of 12 to 16, if you possess a valid ATV safety certificate. All persons under the age of 18 are required to wear a helmet when operating or acting as a passenger on an ATV, motorcycle, snowmobile and nonlicensed motorized equipment. All excessive and unusual muffler noise is prohibited while operating on this trail. Spark arresters are required on all ATVs. Check ATV and snowmobile regulations for decibel limits. No person may operate an ATV, snowmobile, motorized vehicle or otherwise enter the property of another without the consent of the owner or lessee. Roadways -- A person may not operate an ATV or snowmobile on any roadway, unless to directly cross the road, to cross on a bridge, or if the roadway is a designated route. 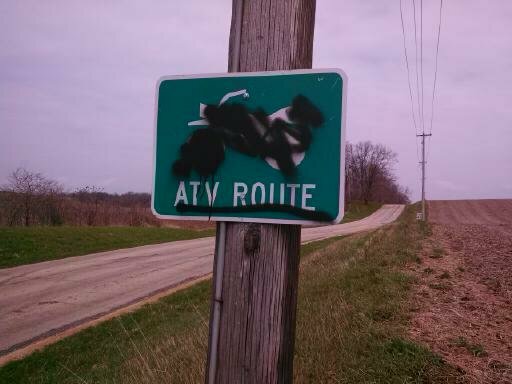 The Green County ATV Club is offering a $250.00 reward to anyone with information leading to the arrest and conviction of anyone stealing, damaging or shooting at the signs on the trail. In state ATVs or UTVs that are currently registered in Wisconsin are NOT required to have a Tri-County Trail sticker. Out of state ATVs or UTVs, are required to purchase a Wisconsin DNR registration or a Wisconsin DNR trail pass and should refer to ATV Registration for additional information and requirements. .
Due to numerous noise complaints, the illegal use of altered muffler systems is being aggressively enforced. Cheese Country Trail, also known as Tri-County Trails, in Southern WI.